Easy Christmas Rum Balls are sweet, dense, and the perfect addition to your holiday dessert trays! 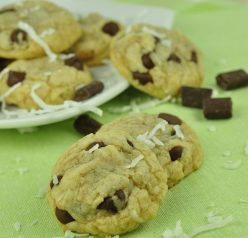 This traditional recipe will have all of the adults raving! Nothing screams “Christmas” like Christmas rum balls and my famous traditional cut-out sugar cookies. They are one of the only desserts that are very Christmas-specific. I mean, maybe you can make them for other holidays? When I see rum balls I always think of Christmas and that’s what makes them so special. 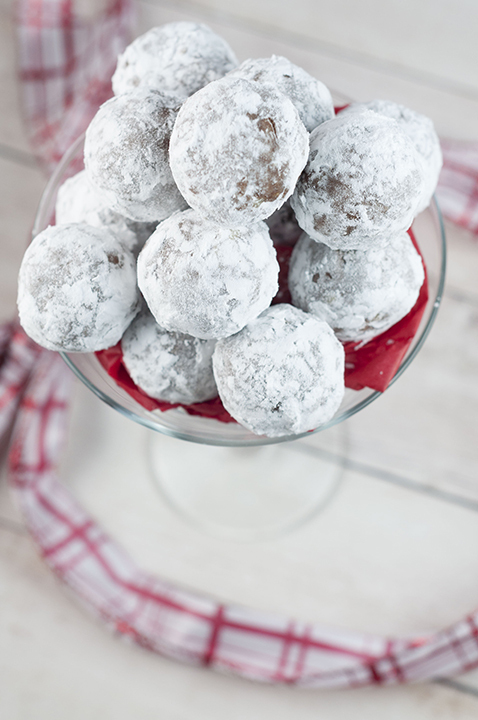 These rum-infused Easy Christmas Rum Balls are perfectly-sized treats for adults! Rum balls are a truffle-like dessert that are sweet, dense, and flavored with chocolate and rum. 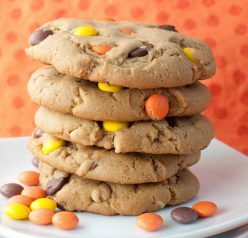 You can make them any size you want, but I like them to be bite-size. Because they are a no-bake dessert, the alcohol flavor and kick from the rum are not lost during preparation. FYI: If you love chocolate and rum together, you should check out my Hot Chocolate Coffee Rum Cake. Everyone who tried these agreed that the amount of rum was just the right amount. The flavor comes through nicely in these traditional, soft Christmas cookies. I have had some rum balls that were way too strong and others where you could hardly taste the rum. Both scenarios are equally disappointing! Have you ever heard someone say that a properly made rum ball should be a fire hazard? As funny as I think that statement is, I like the rum flavor to not be overpowering. 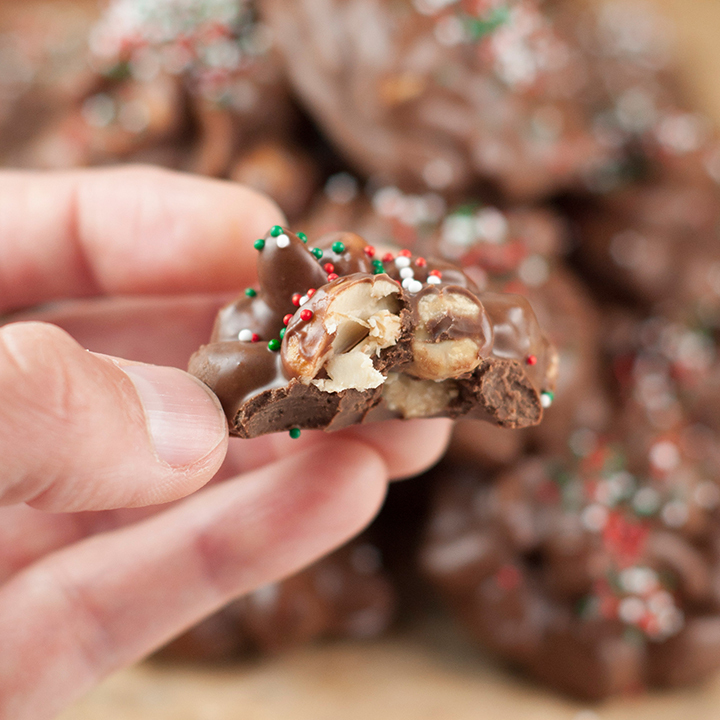 These easy no-bake treats are perfect for your next holiday party. Everyone’s eyes lit up when they saw these and my Homemade Cream Puffs on my cookie trays last year. Of course, I had to warn everyone that they contained rum so they were just for the adults. Part of me thought about how funny one of the kids’ faces would be as they bit into one of these, though. It would be an unpleasant surprise – that’s for sure. Another no-bake chocolate dessert that is just perfect for Christmas is this recipe for Crock Pot Triple Chocolate Peanut Candy. Tip: If there are nut allergies in your household, you can go ahead and substitute coconut flakes for the walnuts. Here are my Christmas desserts if you’re looking for more ideas. I put them all in one place for you to make it super easy to find something you like. I’m partial to my Italian Anisette Cookies. I also have my eye on these Hot Buttered Rum Cookies from my friend Mary. Enjoy these Easy Christmas Rum Balls and Merry Christmas! Blend wafers into fine crumbs using a food processor or put in a Ziploc bag and smash with a rolling pin. Pour into a bowl. Add powdered sugar, nuts, salt and cocoa to the wafer crumbs. Mix well. Add rum and corn syrup then mix with a fork until moist. Mix the rest of the way with your hands until completely combined. 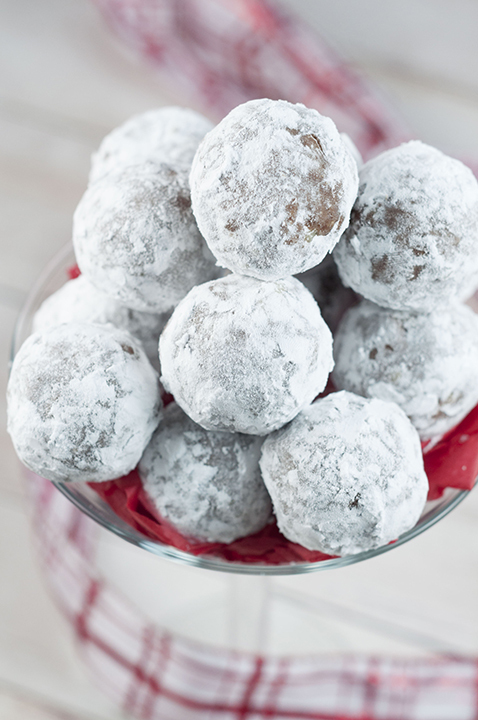 Shape into balls then roll in extra powdered sugar. Store in a covered container until ready to serve. These rum balls look really fun and easy to make. I would probably eat a ton of them. Thankfully, I can calculate how many calories I burn post holidays. It will probably take numerous workouts to burn off all the desserts. I love that there are walnuts. Love rum balls! They’re so good, aren’t they? Yours certainly look terrific — bet they’re full of flavor. Thanks! 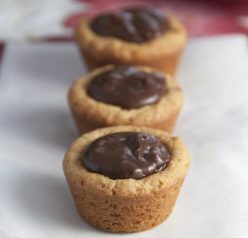 Wow, these are so easy and perfect for the holidays!!! I cannot wait to treat my neighbors to a batch!! I’m so excited for the holidays!!! 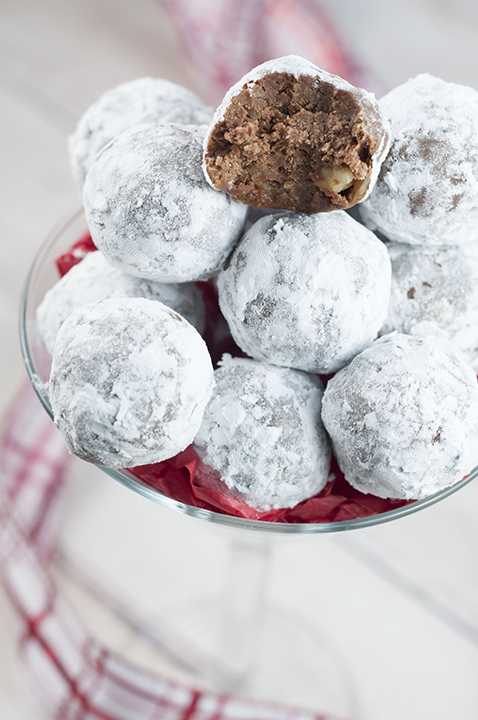 These rum balls would be a perfect addition to the festivities.